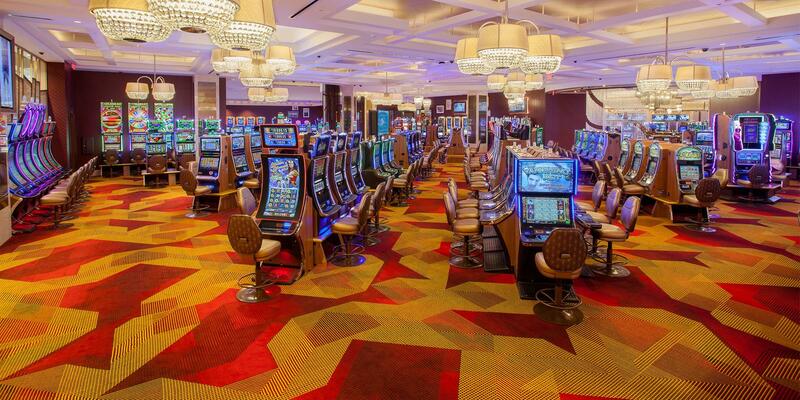 Brintons collaborated with Wimberly Interiors and the Seminole Tribe of Florida to create 6,000 square yards of custom axminster carpet for the brand new Seminole Hard Rock Hotel & Casino Tampa. The Seminole Hard Rock Hotel & Casino, Central Florida's premier entertainment destination, celebrated the grand opening of its new Mezzanine Level Casino on April 28th, 2017. With this property being a new build and a casino, there are added layers of complexity when designing the carpets. The footprint is constantly changing due to new elements being woven into the interior fabric, challenging axminster carpet designers to stay adaptable. For the first phase of carpets, Brintons and Wimberly Interiors developed Art Deco inspired patterns, reminiscent of intricate metal grillwork and stained glass. Fifty-four thousand square feet of deep ruby and gold carpets flood the casino floor bringing an unique high-spirited energy to the space. Brintons team has provided an exceptional service not only throughout the design stage but all the way to the installation. With the very tight constrains on the project, they made it happen while keeping the positive upbeat attitude. 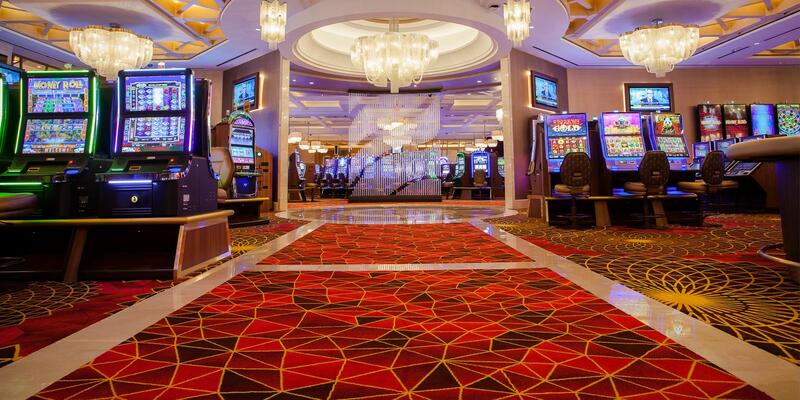 The carpet enriched the space and helped us achieve the aura of elegant premium gaming parlor that we were aiming for.